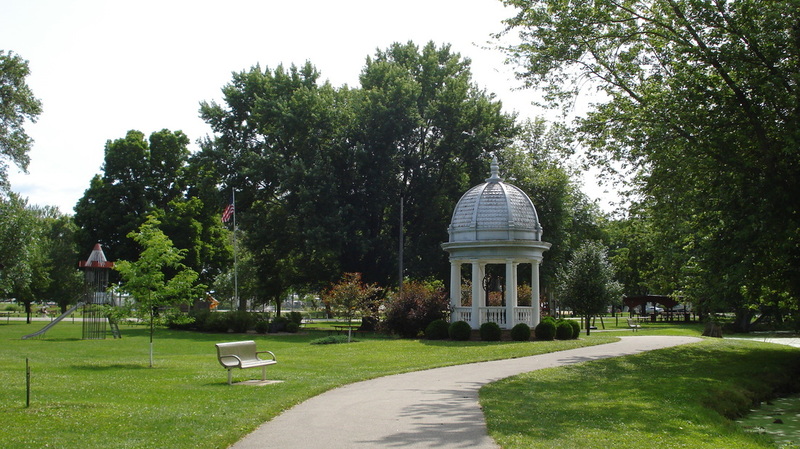 This beautiful City Park is located along the shore of Lake Henry. Lake Henry was created in 1873 by a grist mill dam, and offers a diverse recreational experience including boating ( no wake Lake ) canoe/kayak and year round fishing. The lake is approximately 44 acres with the City owning nearly 2.5 miles of shoreline around Lake Henry. 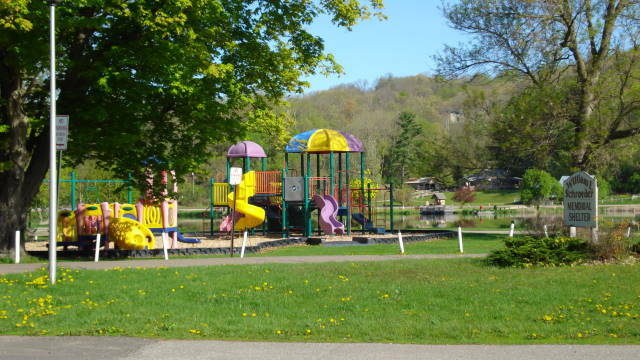 The South side bordering the lake is Riverside Memorial Park & Campground with part of the north shore being Strand Park/Wayside. 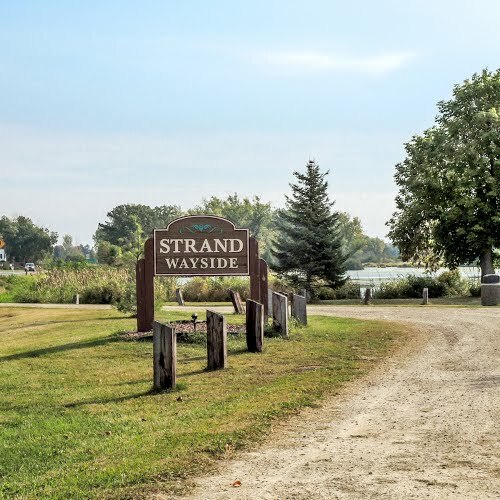 Strand Park/Wayside offers: Picnic areas, handicap accessible fishing piers, and a historical monument to dedicated to ice harvesting off Lake Henry years ago. 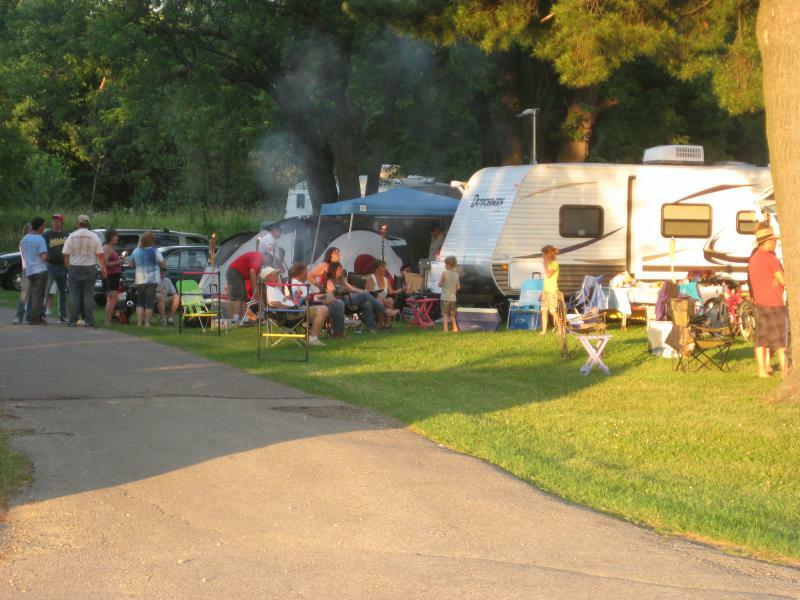 The Campground has a total of 31 sites, with 16 sites having gravel pads for larger heavier units. 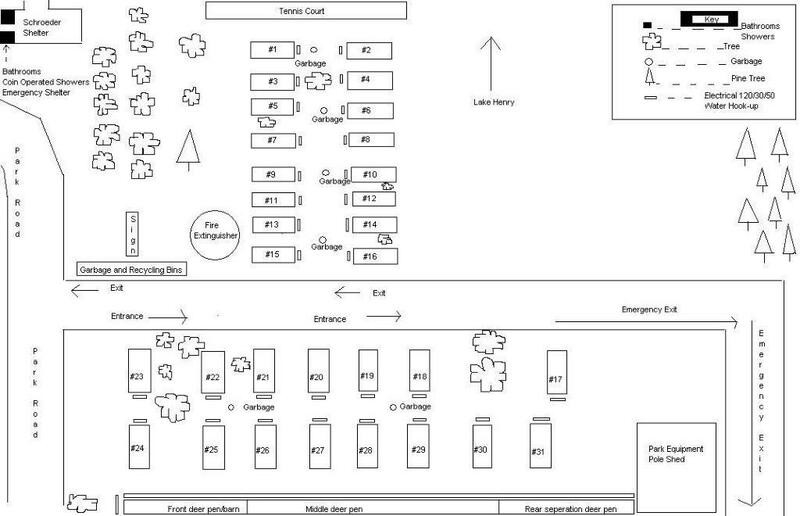 There are 15 grass sites for tent or pop up campers. Every site electricity with 120/30/50 amp service and water hook-ups. 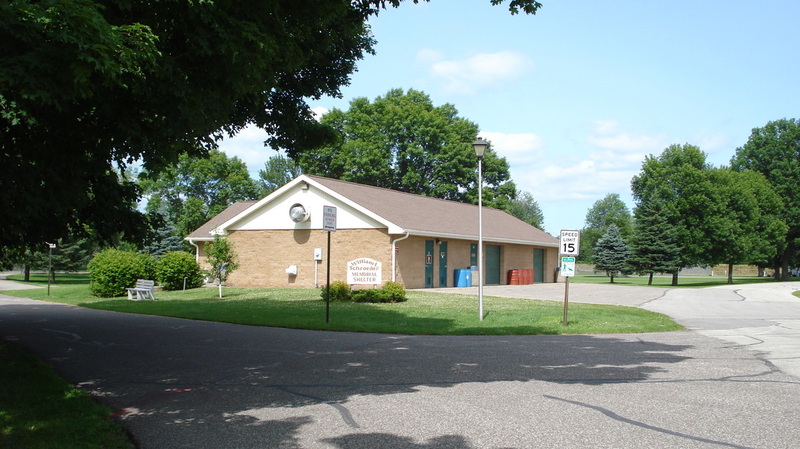 There is a dump station located near the Municipal pool with a paved loop for easy access. There are bathrooms and coin operated showers located in the Schroeder Shelter for convenience and comfort. Schroeder Shelter $80.00 - Seats 100 people, with water and electricity, stove, refrigerator and bathrooms. Large Shelter $65.00 - Seats 100 people, with water and electricity, stove, refrigerator and bathrooms. Upper Shelter $30.00 - Seats 40 people with electricity only and a refrigerator. No bathrooms attached to building. Lower Shelter $20.00 - This shelter is an open pavilion that can seat up to 40 people, with electricity only. No bathrooms attached to building. Bell Tower Rental: The fully restored Bell Tower once graced our grade school, and today serves as a site of many weddings in the Park. Reservations are suggested for special events, and there is no fee charged. 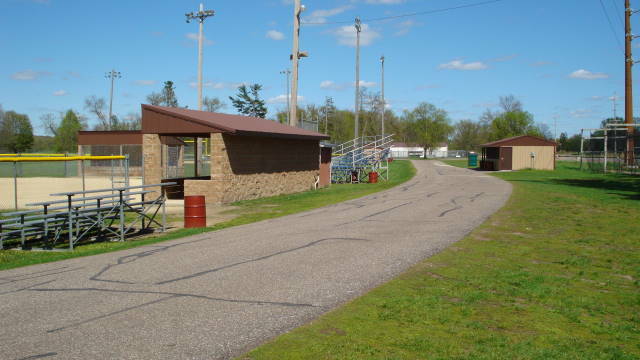 Concession Stand Rental: Stand rental for ball tournaments is $50.00 with reservations, signed agreement and paid for prior to use.